Several civil society representatives called, on Monday in Rabat, for the opening of an immediate international investigation on the human rights violations committed by the Polisario in Tindouf camps, southern Algeria. The unprecedented popular uprisings shaking Algeria since February 22 reverberate in the Tindouf camps and risk to set them on fire. During the 40th session of the United Nations Human Rights Council (UNHRC), held from the 25th of February to the 22nd of March, South Africa launched a campaign to defend the Polisario. A Tindouf camp family has been sitting in in front the MINURSO Team-site in Mijek, a small town located east of the Moroccan Wall, to protest against the «unfair» distribution of aid in the camps. The family and friends of Polisario soldier Ammar Ould Anaye, who died last week in suspicious circumstances, have organized a sit-in in front of the Front’s «Defense Ministry», located in the Rabouni camp. Spanish NGO “Freedom is Their Right” has condemned the systematic violations committed by the Algeria-backed Polisario militia of the rights of the Sahrawi women sequestered in the Tindouf camps, southern Algeria. Sahrawi merchants were prevented from leaving Bir Moghrein, a city in northern Mauritania, by the country’s customs, reports pro-Polisario online newspaper Futuro Sahara on Monday. The Polisario is intending to impose its own rules on Spanish associations that do not make use of caravans when sending aids to the inhabitants of the Tindouf camps. One day after King Mohammed VI met with the United Arab Emirates’ Crown Prince, Mohamed Ben Zayed, in Abu Dhabi, Gulf states hailed the efforts made by Morocco to solve the Western Sahara dispute at a UNHRC session. Spanish Association “La Libertad es su derecho” has denounced the abduction and confinement of dozens of Sahrawis women in Tindouf camps, Southern Algeria, by the Polisario separatist front. The Moroccan delegation to the 39th session of the Human Rights Council in Geneva blasted over the false Algerian allegations on the situation in the Moroccan Sahara. Polisario officials are again involved in the embezzlement of the international aid initially intended for the Sahrawi population sequestered in the Tindouf camps. Products donated part of the assistance were actually found in display in Algerian markets. 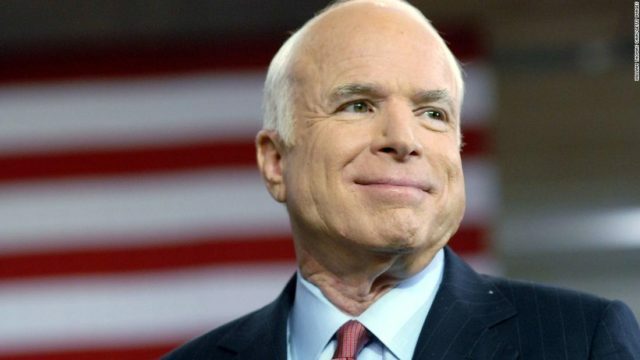 US Senator John McCain, savior of the world’s longest-held POWs—Moroccan soldiers in Tindouf, died on Saturday at the age of 81. President of Spanish government Pedro Sanchez was asked questions on Thursday about the crimes and abuses committed by the polisario against the Sahrawi populations held captive in the Camps of Tindouf, on the Algerian territory.